Wondering why LED flood lights make a great choice for outdoor lighting? 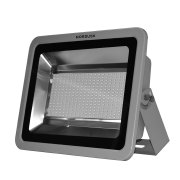 Even today, when halogen and incandescent lights are often called the economic alternative, the market of LED flood lights seems quite flourishing. First of all, the quality of brightness and their lifespan make them a great choice and secondly, the wide variety of choices that you can get while choosing outdoor flood light is quite impressive. Here’s a note of everything that you must know if you are planning to buy LED flood lights for your outdoors. 1. How Worthy are the LED Flood Lights? If you are wondering if it’s worth an investment, you must consider the benefits they offer. First of all, they are a cost-effective alternative compared to the halogen. How? In spite of a hefty investment at the initial stage, LED floodlights consume up to 80% less energy than their halogen counterparts, which cut down your energy costs in the long run. Secondly, the lifespan of the LED is on the higher side compared to the halogen lights, which eliminates the need for frequent replacement. Halogen floods can get too hot to touch, but the LED floods come with metal heat sinks that instantly direct heat away to maintain a lower running temperature. This also helps to extend the lifespan of the LED chips inside. Whether you’re lighting-up a car park, a garage or your back garden, LED floodlights will offer a wider beam angle, thus, releasing better and a more efficient coverage. 2. How Bright are the LED Floodlights? It’s already mentioned that LED light consume lesser watts than the halogen counterparts, which means they use a lot less energy. However, that does not delimit their brightness in any way. You can expect a better level of brightness in LED than the halogen. Since LED lights come with higher number of lumens, its brightness is never suffered. 3. Can You Dim Your LED Floodlight? Not all LED floodlights are dimmable. If you need a dimmable bulb, make sure you check the product specification while buying it. So, if you are already convinced to buy this product, consider several things on a priority basis. First of all, check the brightness. LED lights are already featured with higher number of lumens which determine their brightness. However, don’t forget to check the lumen count while buying as it would help you decide the brightness. There are certain automatic capabilities that you might need to check on. There’s an additional security and efficiency option, such as a distance sensor, automatic time-mode or daylight sensor. A distance sensor prompts the floodlight to switch on automatically when motion is sensed within a certain distance of the light. Some flood lights also come with a time mode, which defines the time of its operation. Check out the colour and design options to find the best one according to your needs. Flood lights have come a long way in the past couple of years with LED technology. Nowadays, they make a great choice, whether for residential or commercial usage.